Posted on October 16, 2018 October 26, 2018 by Ferenc SZABO F.
There are few conferences where the chief influencer is the country’s prime minister. 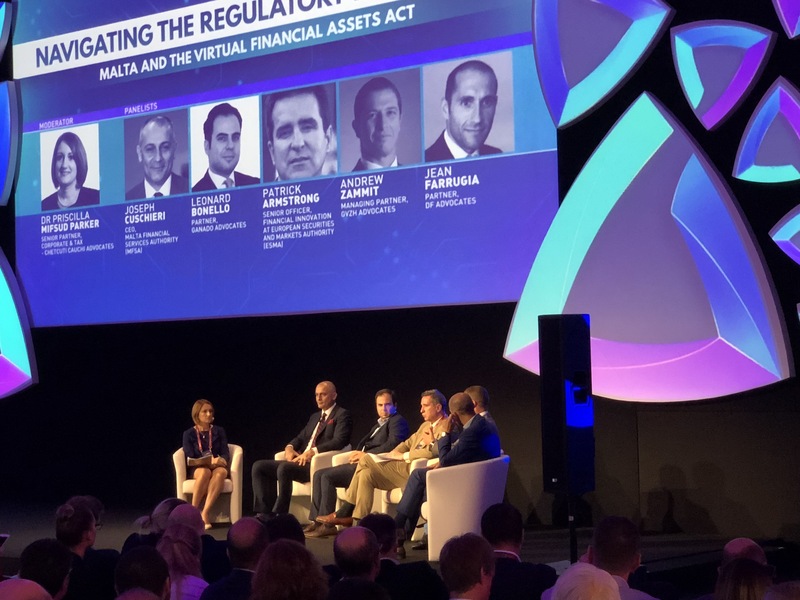 The government head Joseph Muscat told the Delta Summit in Malta that AI would follow blockchain regulations as he saw digital development as the next important step. The Maltese parliament passed a package of three acts in June, which Valletta expects to make the small European Union member state the blockchain technology centre of the bloc, or even the world. And at the three-day Delta Summit on blockchain technology, the organizers and the chief sponsor, the state wanted to demonstrate not only that Malta takes regulation work and its own leading role seriously, and not only on paper, but also that they want to ensure legal safety to those who operate in the fields of crypto-currencies, distributed ledger technologies and ICOs. The host of the conference, the distinguished fintech and AI expert Abdalla Kablan viewed the conference as the beginning of a movement. “These are the beginnings for the blockchain island and the blockchain movement, also marking the beginnings of change,” said Kablan. In the view of the organizers, the Delta Summit has a good chance to become the principal blockchain conference in the future. Malta’s Junior Minister for Financial Services Silvio Schembri noted that Malta will become the centre of the blockchain industry and that had called for holding the conference. His statement was underpinned by the facts that more than 4,000 participants, and hundreds of exhibitors took part in the conference, including leading market players like Binance, Okex , Bitfury, Monaco, Cubits, of which several have moved their operations into the island country due to the favourable legal environment and Malta’s cryptocurrency strategy. One of the biggest exhibitors, Binance regards the Maltese climate so good, that it is looking at establishing the world’s first cryptobank there, expected next year. There can be no doubt that Prime Minister Joseph Muscat seriously thinks that blockchain and cryptocurrencies, and a distinguished role for his country in these fields are important. Malta’s parliament passed the relevant acts in June (please see our notes in the frame). Since then the authority has been established – officially during the time of the conference – and it already works at full steam on regulations, while it has also emerged as one of the main organizers and supporters of the conference. So, even less Mediterranean states like Malta can envy the pace dictated there. Besides, Muscat clarified at the conference, that he regards establishing the optimal digital environment far from being completed. In his words, the next field to be regulated would be AI. Muscat has been the first to welcome Revolut, saying that Revolut was a fintech bank, and as such, it represented the future. “I welcome everything that stimulates the traditional market,” he said at the time. Revolut – which officially debuted at the conference – has gone to 26,000 clients, and by the end of the year they want more than 60,000 people as their clients in Malta. The messages of the British fintech company well fitted the general points of the conference. Several participants talked about a new financial renaissance, in which banks will not certainly be needed, but banking certainly will be. Beyond that, the opportunities offered by blockchain technology should be passed on to the widest possible audience. What the new bills regulate? 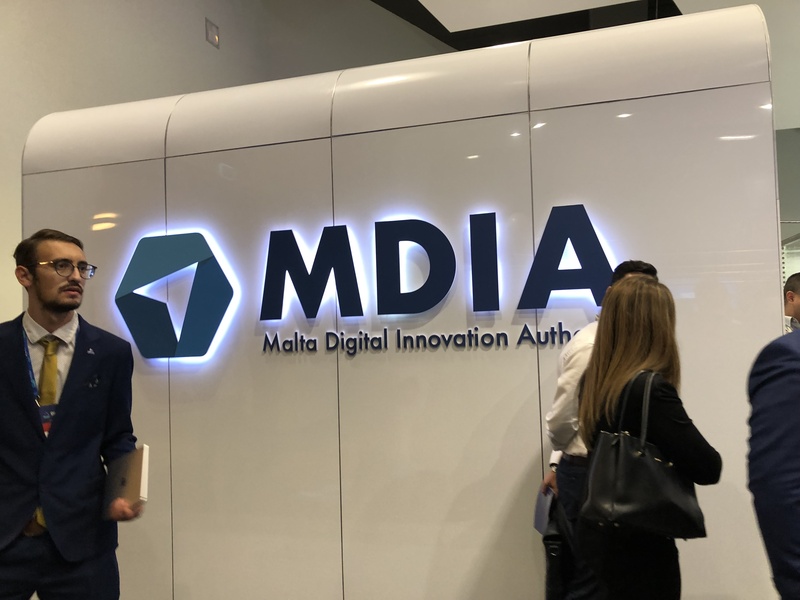 The Malta Digital Innovation Authority regulates the elaboration and the execution of certain guiding principles laid down in the law. MDIA is also responsible for preparing legislation which affects its fields, monitoring processes and for the execution of regulations. It has also been endowed with supervisory powers, it can conduct on-the-spot examinations and impose fines. The act mainly regulates token issues (ICOs). It also requires companies dealing with ICOs to prepare detailed presentations on their planned projects, enterprises, and to publish their financial track records. Beyond that, it also defines the way of registering crypto exchanges and cryptobrokers. Blockchain Island Services can also help you with these: please feel free to contact us! The third bill is the act on technology arrangements and services. The legislation describes how blockchain-based companies, enterprises can be registered and made legally acknowledged. If you are interested in more details, please turn to us. Anybody who wants to launch a crypto project in Malta, needs to establish in the first round if the token in question qualifies as a utility token or distributed ledger technology. Next, the required permission must be identified: MiFID II or any other existing financial permission, or a permission according to the new Virtual Financial Assets Act. Interested, fine, what do I need to do? If a company without a Maltese address or seat submits an application for registering, it needs to commission a resident agent who will represent it and help it in dealing with Maltese authorities. That is, foreign companies are entitled to submit applications for authentication or registering to the authority: all that needs to be done is turning to Blockchain Island Services. This entry was tagged blockchain, Blockchain Island Services, Delta Summit. Bookmark the permalink.